In motorcycle trials, one often sees fierce competitors hamming it up with each other in the middle of an event. Left: U.S. 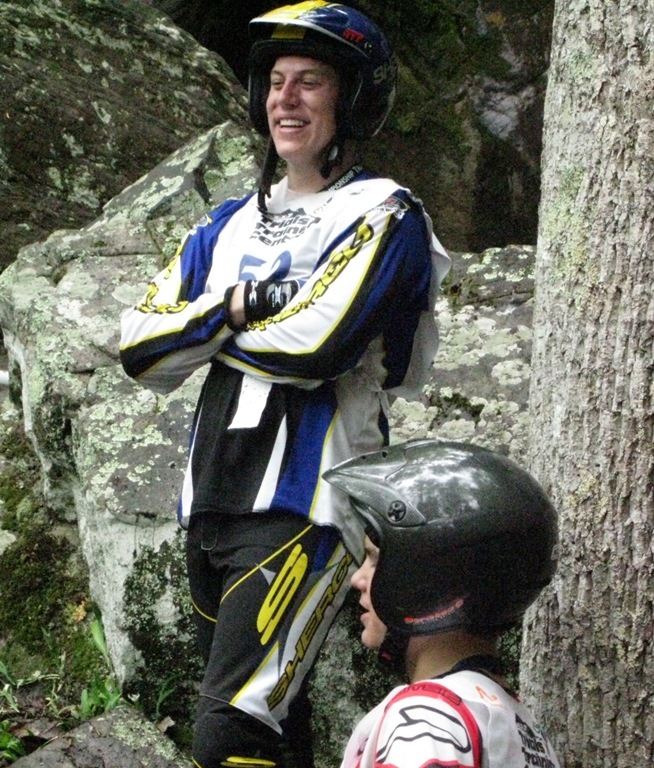 Pro competitors Cody Webb (Nat’l #2) and Will Ibsen (Nat’l #4) in Section 11, Lampkin Falls. 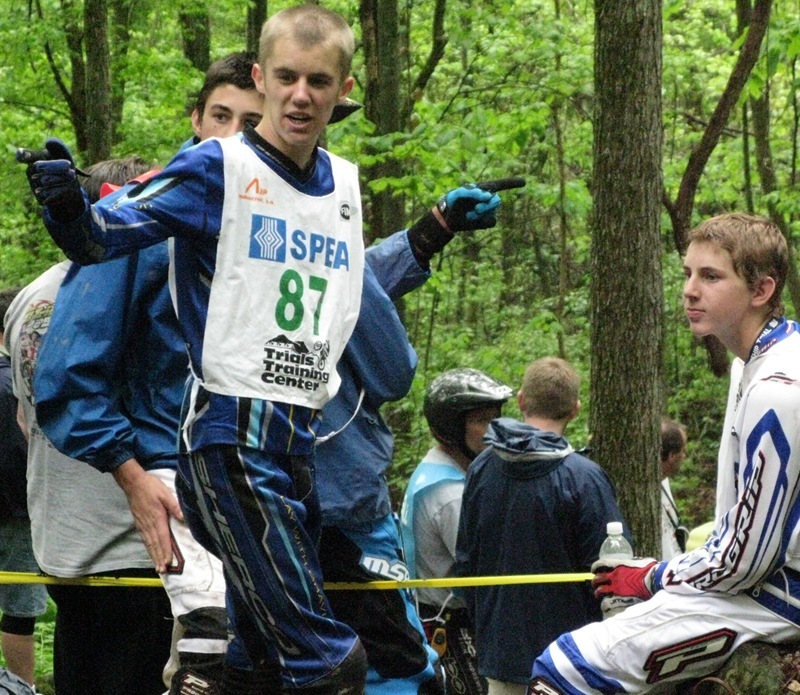 Right: Youth Class competitors Andew Oldar and Eric Storz in Section 9, House Rock.